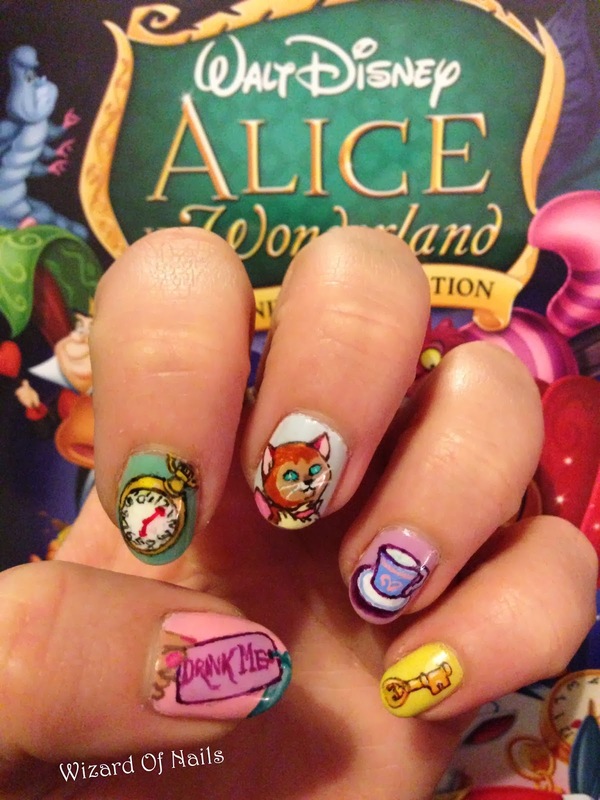 Alice In Wonderland is one of my favourite Disney animated films. 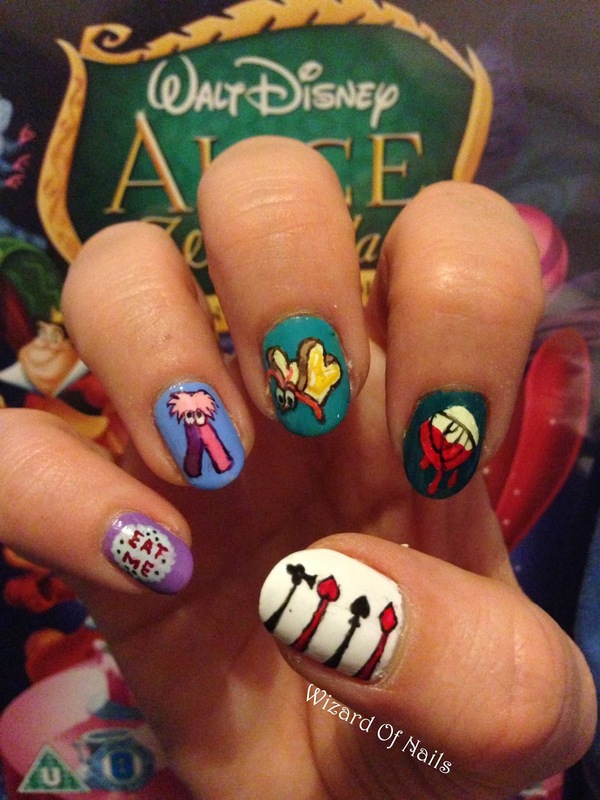 I have been planning for a while now to get an Alice In Wonderland tattoo with a wide variety of little items and characters so these nails represent some of the things which I would like to include in my tattoo design. On my left hand I have the Drink Me label, the White Rabbit's pocket watch, Alice's cat Dinah, a tea cup and the key which Alice leaves on the table. On my right hand I have an Eat Me cake, a Mome Rath, a bread and butterfly, a white rose painted red and club, heart, spade and diamond spears from the march of the cards. Looking forward to the day when I can afford this tattoo as it is an important part of who I am and where I want to be - in Wonderland.